Turkey in Disguise Projects. They are everywhere this time of year. The Little Divas had to complete them for school too but we were short on time so I begged them not to dream up elaborate disguises. In previous years they have disguised their turkeys as rock stars, the Statue of Liberty and dressed one up to showcase our heritage. This year I told them - NO PEOPLE! I had them think of an object we could turn the turkey into that would only need items we had readily on hand like paper, scissors, glue, crayons, markers, etc. Instantly, the Littlest Diva says "popcorn". I start to shake my head to nix the idea, then I think - yellow tissue paper. I tell her she can crumble yellow tissue paper into balls and make it look like popcorn. Inwardly, I'm thinking, this isn't going to be pretty but it's her idea and she can do it herself so I give her the paper and let her make balls to her hearts content. The Oldest Diva decides to chime in and informs her little sister that she needs a bucket. "Yes! A bucket - I need a bucket mommy. Like when we eat popcorn at the movies and I'll put the popcorn on top and only leave his eyes peeking. That will be so funny. " It turned out adorable and it really is funny but best of all - it was all hers! I helped her make lines on her bucket at her request but she did all the work because it was super simple. She was beyond proud of her project. The Oldest Diva decided she wanted to make a gum ball machine. 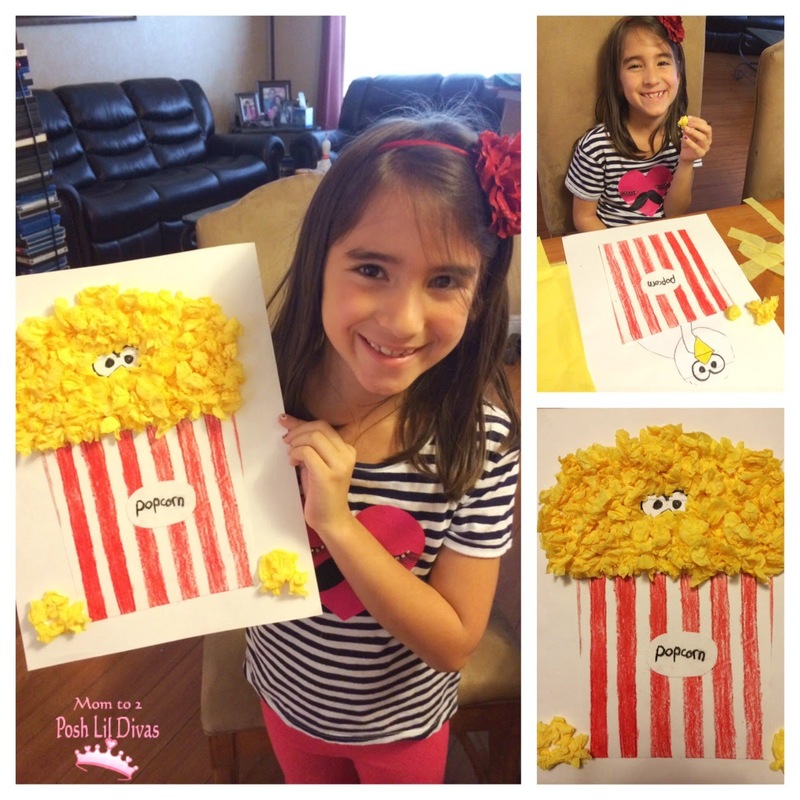 This one was easy but slightly more involved than the popcorn because she had a specific shape/look in mind. She looked up some photos to find a match for her mental image, found a style she liked and we made it out of construction paper. I had to help her draw the basic shape but she outlined it, cut it out and added the details. Once we had our base, the Oldest Diva cut out lots of small multi colored circles to use as gum balls. 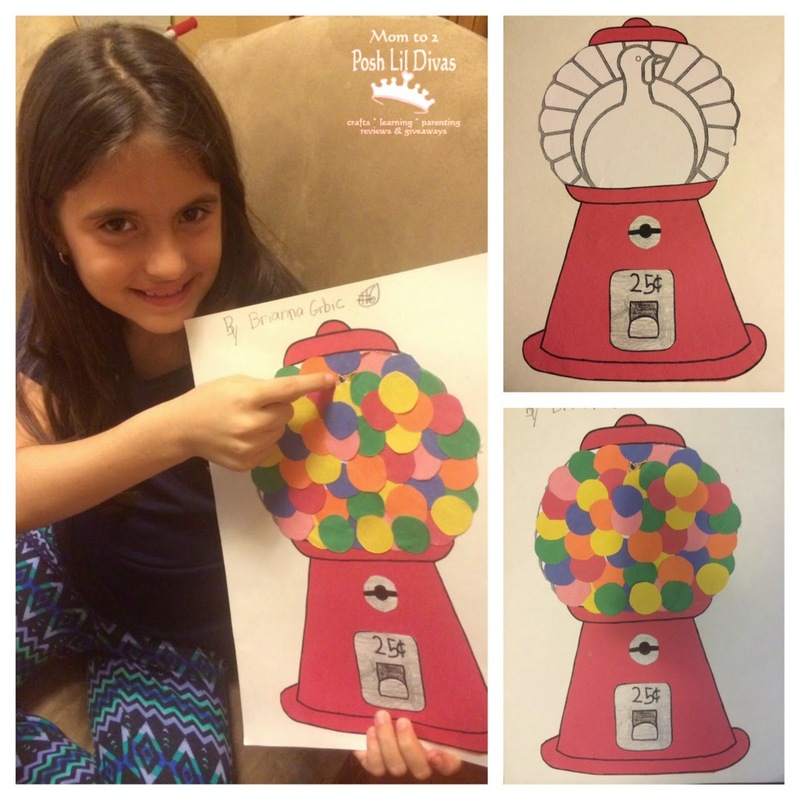 The gum balls hid the turkey really well because the turkey template had a nice round body. 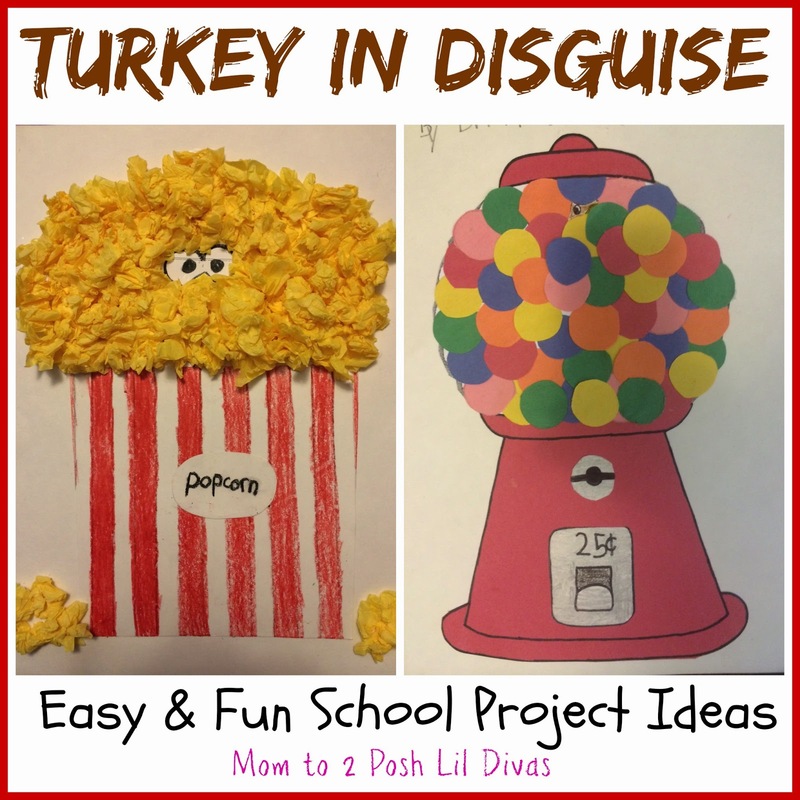 Did your child(ten) or students have a Turkey in Disguise project? What disguise(s) did you use? Have fun disguising those turkeys!